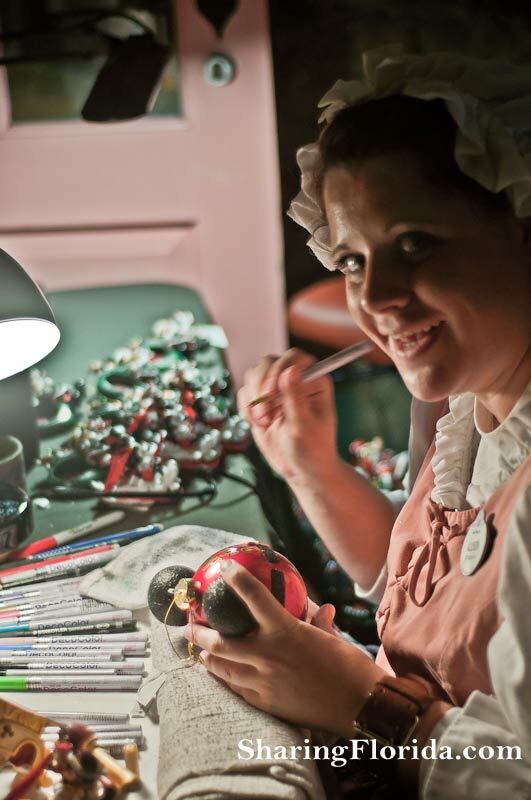 At the Ye Old Christmas Shoppe inside the Magic Kingdom of Disney World you will often see women dressed up in old England attire while decorating Christmas ornaments. Not all of the ornaments inside the shop are hand decorated. Below we have a photo of one of the women while they were hand painting an ornament. 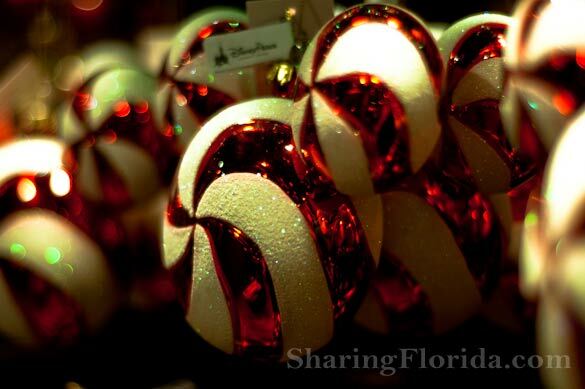 The other photos are of the manufactured Christmas decorations for hanging in your Christmas tree. These photos were taken during the Mickey’s Christmas season (The Mickey’s Very Merry Christmas Party), late November through December.